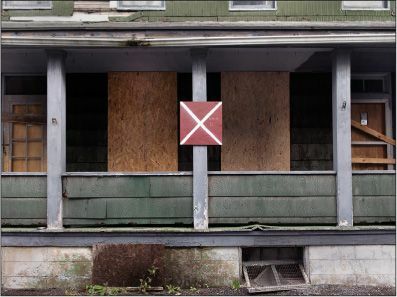 In a struggling former steel town that voted for President Trump, residents don’t blame him for failing to revive their communities or make good on other promises, said journalist Michael Kruse. They love him anyway. PAM SCHILLING IS the reason Donald Trump is the president. Schilling’s personal story is, in poignant miniature, the story of this area of western Pennsylvania as a whole—one of the longforgotten, woebegone spots in the middle of the country that gave Trump his unexpected victory last fall. She grew up in nearby Nanty Glo, the daughter and granddaughter of coal miners. She once had a union job packing meat at a grocery store, and then had to settle for less money at Walmart. Now she’s 60 and retired, and last year, in April, her 32-year-old son died of a heroin overdose. Desperate for change, Schilling, like so many other once reliable Democrats in these parts, responded enthusiastically to what Trump was saying—building a wall on the Mexican border, repealing and replacing the Affordable Care Act, bringing back jobs in steel and coal. That’s what Trump told them. 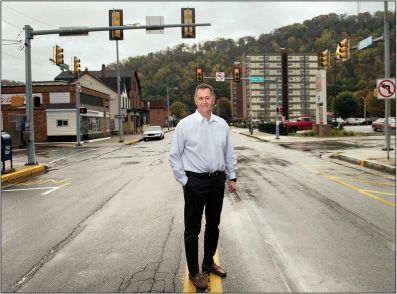 At a raucous rally in late October, right downtown in their minorleague hockey arena, he vowed to restore the mines and the mills that had been the lifeblood of the region until they started closing some 40 years ago. What I heard from Schilling is overwhelmingly what I heard in my follow-up conversations with people here whom I talked to last year as well. Over the course of three days this month, I revisited the president’s base—that 30-plus percent of the electorate who resolutely approve of the job he is doing. But what I wasn’t prepared for was how readily these same people had abandoned the contract he had made with them. Their satisfaction with Trump now seems untethered to the things they once said mattered to them the most. Is there anything that could change her mind about Trump? “Nope,” she said. All this, perhaps, is not so surprising, considering polling continues to show that—in spite of his unprecedented unpopularity— nearly all people who voted for Trump would do it again. But as I compared this year’s answers to last year’s, it seemed clear that the basis of people’s support had morphed. Johnstown voters do not intend to hold the president accountable for the nonnegotiable pledges he made to them. It’s not that the people who made Trump president have generously moved the goalposts for him. It’s that they have eliminated the goalposts altogether. His supporters here, it turns out, are energized by his bombast and his animus more than by any actual accomplishments. For them, it’s evidently not what he’s doing so much as it is the people he’s fighting. Trump is simply and unceasingly angry on their behalf, battling the people who vex them the worst—“obstructionist” Democrats, uncooperative establishment Republicans, the media, Black Lives Matter protesters, and NFL players (boy, oh boy, do they hate kneeling NFL players), whom they see as ungrateful, disrespectful millionaires. DEL SIGNORE, BY his own admission, is not a person who’s focused on policy specifics. A short, stout, genial man who wears gold chains around his neck and rings on both pinkies, he last year did something for Trump he had never done for any other candidate. The 61-year-old Johnstown native proudly planted a Trump sign in the ground in front of his catering company. And nothing that’s happened in the past 12 months has lessened his enthusiasm for the man who so energized him. “Does he?” he said. “Yes,” I said. A little more than a month after last year’s election, a 5-month-old baby starved to death in her bassinet after both her parents overdosed on fentanyl, a frighteningly potent sort of synthetic heroin. 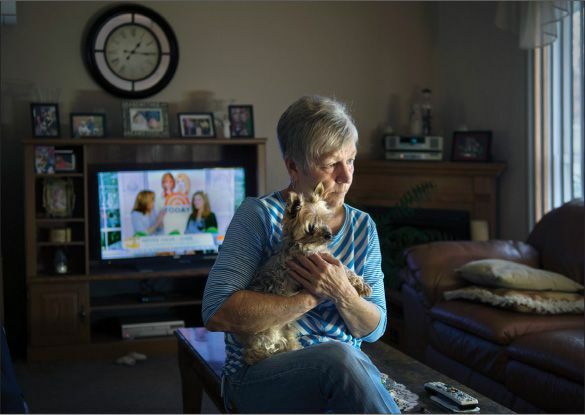 It was shocking even to a community that’s become all too familiar with the unremitting ravages of opioids. But even this optimistic stance highlights some of the deep-seated troubles here. “Right now, if I could find 150 people, I’d put them to work,” Polacek said. He needs machinists and welders. “But it’s hard to find people,” he said—people with the skills, people who can pass a drug test. SOMETHING I HEARD last week that I didn’t hear last year: resignation. Drapes drawn, Frear, the retired nurse, sat in her living room and told me there really wasn’t all that much Trump could do to help Johnstown and Cambria County. He said he was going to bring back the steel mills. “You’re never going to get those steel mills back,” she said. “But he said he was going to,” I said. He hasn’t built the wall yet, either. “I don’t care about his wall,” said Frear, 76. “I mean, if he gets his wall—I don’t give a s---, you know? But he has a good idea: Keep ’em out.” He also hasn’t repealed Obamacare. “That’s Congress,” she said. ONE AFTERNOON I stopped to talk to a small group of people who had gathered on the sidewalk across the street from the Johnstown Planned Parenthood office. Gale Bala sat on a low rock wall and held a sign that said “Abortion kills children.” She voted for Obama in 2008. She voted for Romney in 2012. Her parents were Democrats, her steelworker husband was a Democrat, and she was a Democrat until two years ago. She voted for Trump last fall, and she’ll “definitely” vote for him in 2020, too. “Well,” Del Signore responded, “I hate to say what the majority of them are....” He stopped himself short of what I thought he was about to say. Schilling was having none of it. The NFL? “Niggers for life,” Schilling said.